Christmas is a special time. A great way of thanking your clients for their support throughout the year is to give a digital or printed Christmas Card personalised to you. Brandall Design support a charity each year to donate to and give a percentage from every Christmas Card sale to Salisbury Stars Appeal. 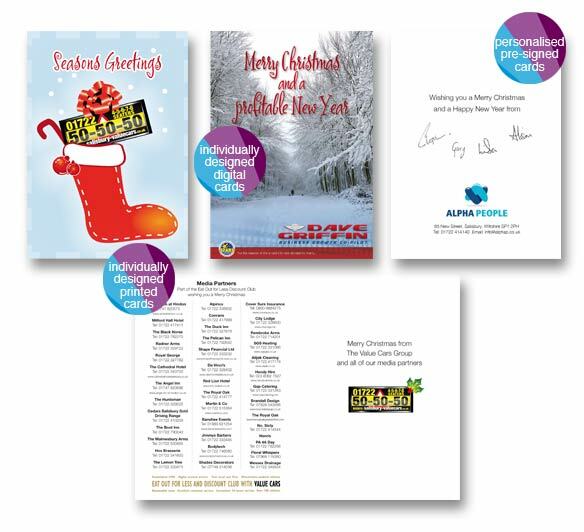 Why not have your company let us design your bespoke Christmas card, Easter Card, promotional card or thank you card and personalise the inside with your company logo and signatures. Email now to find out more. Below are some personalised designs from Christmas 2010.